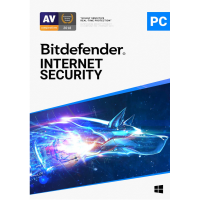 Bitdefender Internet Security 2019 is the company's mainstream security suite, offering antivirus, firewall, browsing protection, parental controls, antispam, password management and more. 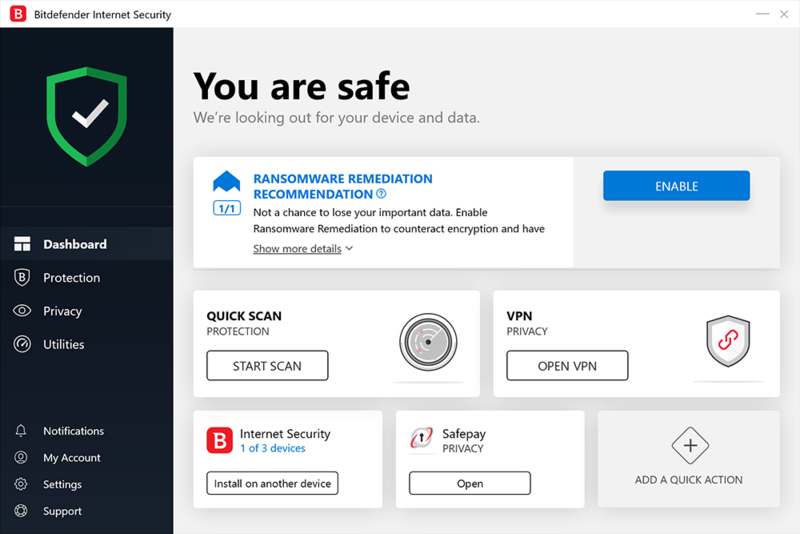 Bitdefender 2019 features much-improved ransomware protection. The suite can now store your most important files in special folders which trusted applications will be able to access as usual-- but everything else gets firmly locked out. Bitdefender 2019 also includes the new Wifi Security Advisor, a one-click tool which quickly checks all available wireless networks and highlights any security vulnerabilities. Includes a 1-Device, 1-Year licence.